Inspector General of Police Joseph Boinett has introduced a major policy shift in the National Police Service that will see the embattled Traffic Police Department dissolved. Under the new policy, the reporting structure of the traffic department has been overhauled and police station commanders given powers to deal with all traffic matters in their area of command. This means there will no longer be police officers attached to the department and any police officer can now be deployed to do traffic work as well as general duties. Previously, traffic officers working at the police station level were not answerable to the station chief but to a base commander who is an officer in the rank of Chief Inspector, a rank also held by the station boss. Under the new guidelines, all traffic matters will be dealt with by police station commanders in addition to their normal duties of fighting crime. The traffic base commanders will now be deployed to other police functions. The changes have drawn mixed reactions especially from officers who worked in the traffic department which was seen as a lucrative posting. Some have opposed the changes and think the new directive will mess up traffic management. 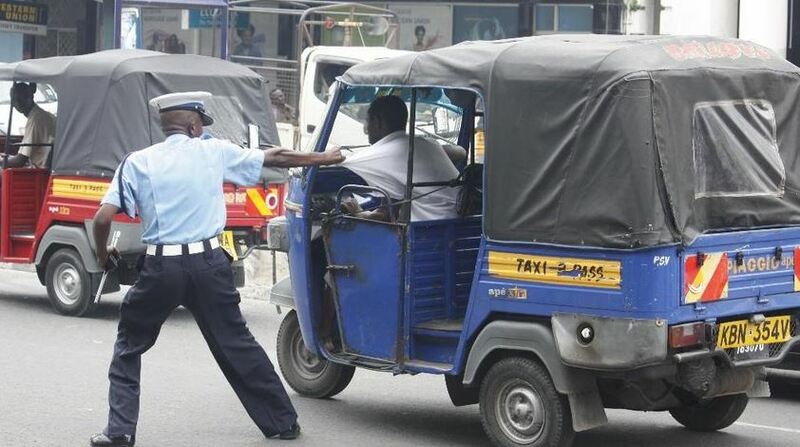 The reforms come at a time when the notorious Traffic Police department has come under fire over rampant corruption and extortion since President Uhuru Kenyatta ordered all National Traffic and Safety Authority (NTSA) officers withdrawn from roads in January. While Boinett’s reforms are expected to increase efficiency in the department and reduce corruption, a majority of Kenyans are skeptical and believe the move will decentralize corruption and ensure every police officer has a fair chance to “eat” from motorists.